While the idea of parliamentary discussions might be sleep-inducing for some (including parliamentarians), the very house in which these debates take place is a fascinating piece of architecture. The building is laid out in a circular shape. This is reminiscent of the Ashok Chakra, which also appears on the National Emblem, and denotes continuity. The sandstone railings around the building are drawn from the jalis at the Sanchi Stupa in Madhya Pradesh. The iconic circular facade is also said to have been inspired from the Chaunsath Yogini temple (pictured) in Morena, also in Madhya Pradesh. This fact was brought up when the safety of the architecture was being debated, and it was cited that this temple is in the Seismic Zone III, yet remarkably earthquake-resistant. The floor of the Lok Sabha is lined with a green carpet. It is symbolic of the agrarian country that India is, and also the grassroots from where the people’s representatives have been elected. The floor in the Upper House, the Rajya Sabha, is lined with a red carpet, denoting royalty as well as the blood of freedom fighters for the cause of the nation’s independence. The Parliament houses the country’s second largest library, after the National Library of India in Alipore, Kolkata. The new building has a contemporary design, and also boasts of an Audio-Visual unit, an Archival Room, reading and lecture rooms and an auditorium with a seating capacity of over 1000! The Library also houses the original draft of the Constitution of India, calligraphed by the members of the Constituent Assembly. The hand-crafted copies in both Hindi and English are placed in hermetically sealed protective cases. The Parliament Canteen provides wholesome fare at the lowest prices anywhere in the country for a comparable variety of food. You can have a simple meal, catered by the Railway Catering Units, at barely Rs 20! The highly subsidised food for law-makers here is also food for great controversy! The Central Hall is a building of immense historical importance. This is where the transfer of power took place on the midnight of August 15, 1947. With one of the most magnificent domes in the world (98 feet in diameter! ), this structure is used for special occasions, including the first address by the Prime Minister after the general elections, and addresses by prominent Heads of State from other countries. 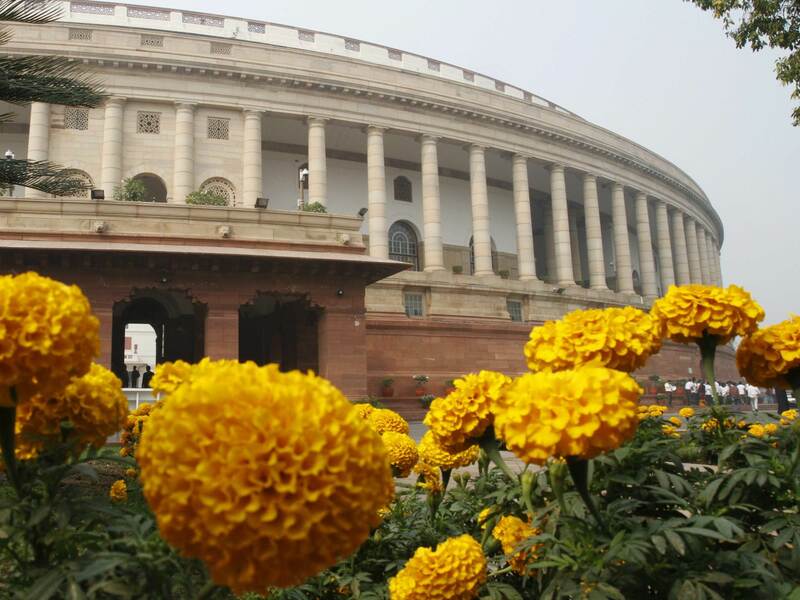 Know of more interesting facts about the Sansad Bhawan? Share with us in the comments below!